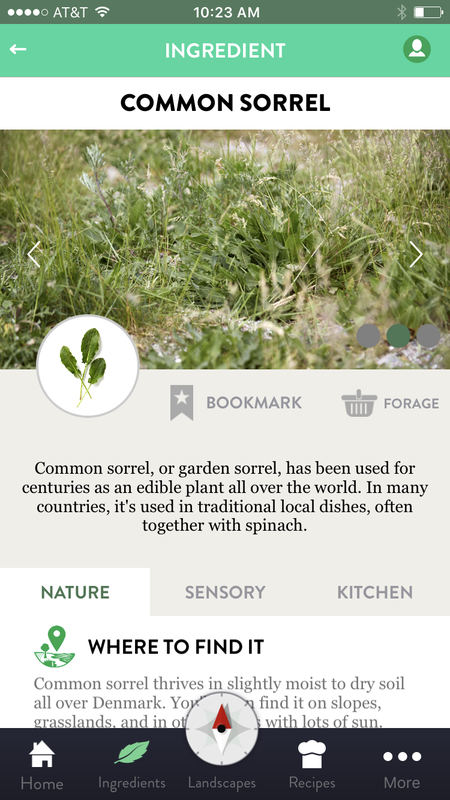 Renowned chef/forest sprite René Redzepi has released an app called VILD MAD to help you find "delicious edibles" by using your phone. 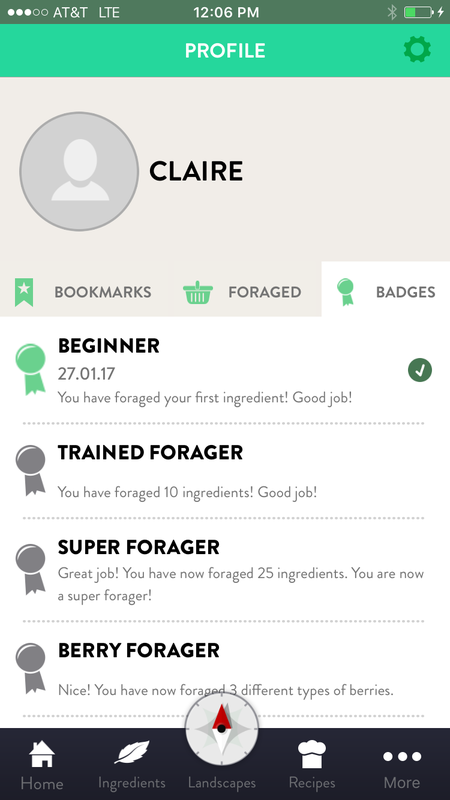 As someone who enjoys a good forage (and looking at her phone), VILD MAD seemed like an app that could definitely improve my quality of life, so I downloaded it onto said phone and set off into the wilds of Southeast Portland. As with pretty much every app, there were things I liked and things I did not. We'll start with the good. VILD MAD is pretty and easy to navigate: The primary colour is a very pleasing teal, which feels soothing and fresh and also happens to be the dominant colour in my apartment. 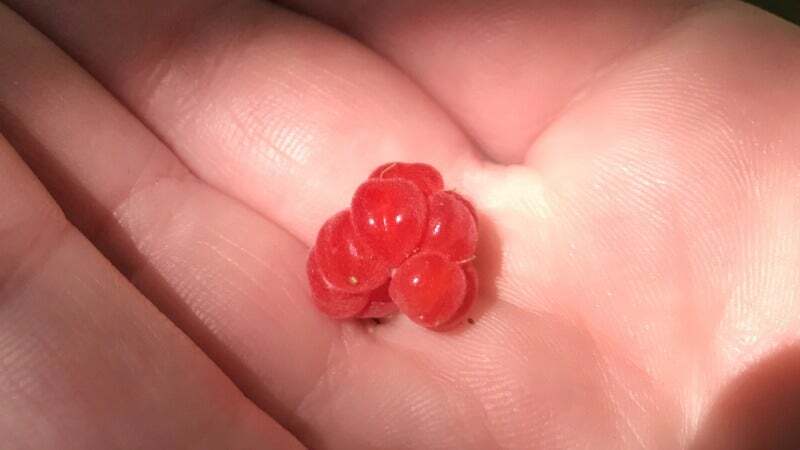 Forageables are listed both alphabetically and by month, making it easy to find either a specific plant part or simply browse what's in season. VILD MAD is informative: There are at least three photos provided for every ingredient (including close-ups of the plant itself and shots of terrain you might find it in), along with information on where to find it, when to find, how to pick it, how to cook it, what it tastes like, any substitutes and a nice little note labelled "risk of mistake", which warns you of any similar looking plants that could poison you. VILD MAD is fun to say: Especially if you say it all caps. It isn't a download-and-go kind of deal. 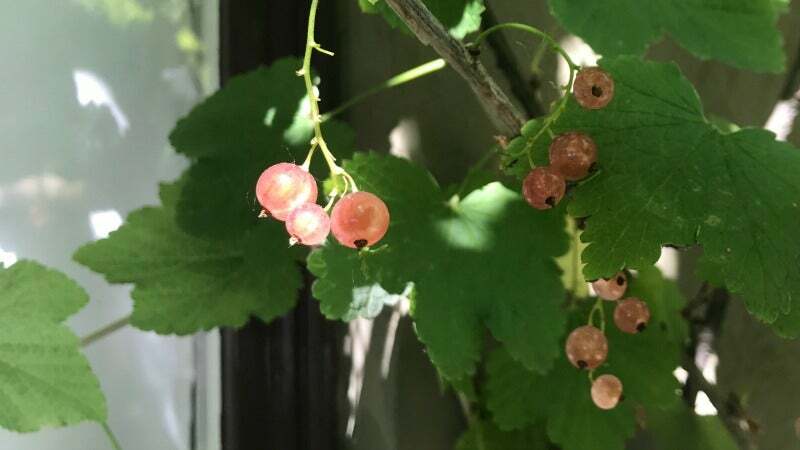 Though there is a lot of information that will help you identify and gather edible plants that may be lurking in your neighbourhood, you have to familiarise yourself with it before stepping outside. There's no way to identify a plant simply by sight; you have to know the name of it before you can find a photo of what it looks like. It would be super helpful if the app contained a feature like [email protected], which is basically "Shazam for plants" and would help you identify potential wild food stuffs based on a photo you take yourself. There's also the fact that VILD MAD is specific to Denmark, so the delicious edibles in your regions may not be even be in the app. Though I was able to find a few plant featured in VILD MAD, I found even more edible plants that were not. Wandering around my neighbourhood — which, full disclosure, has a community garden-type corner of all sorts of edible botanicals — I was able to find four foraged delights that were listed in VILD MAD: raspberries, blackberries (which weren't totally ripe yet), dandelion and clover. I took pics and uploaded them to the app, which awarded me with a "BEGINNER" badge and congratulated me on being so outdoorsy. I also found lemon balm, some sort of very pretty grape, unripe plums and rosemary, none of which were listed in VILD MAD. I don't particularly hold that against Redzepi though, as he clearly intended the app to be used in Denmark, which makes sense, because he is Danish. Still not positive this is a grape. It does, however, seem that the information provided about each plant is accurate. 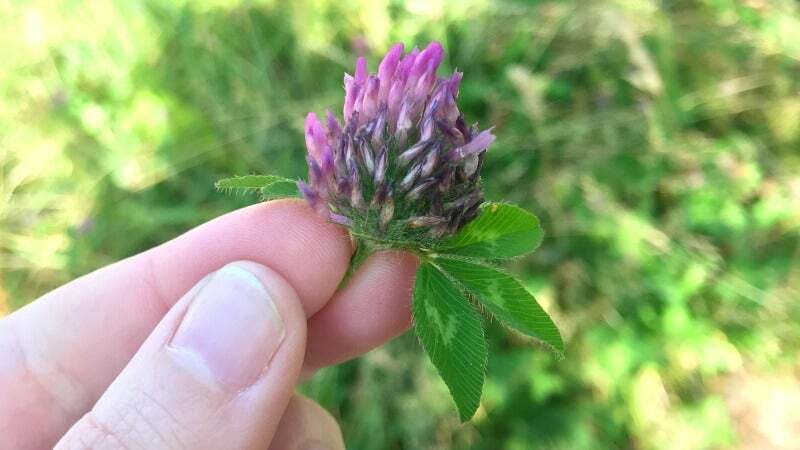 When I found some clover, which is very pretty and purple (and pictured up at the top), I was so excited that I immediately plucked a few petals from the flower and popped them in my mouth. "My tongue feels weird", I thought to myself five minutes later and began to worry the clover had been contaminated with some sort of pesticide. 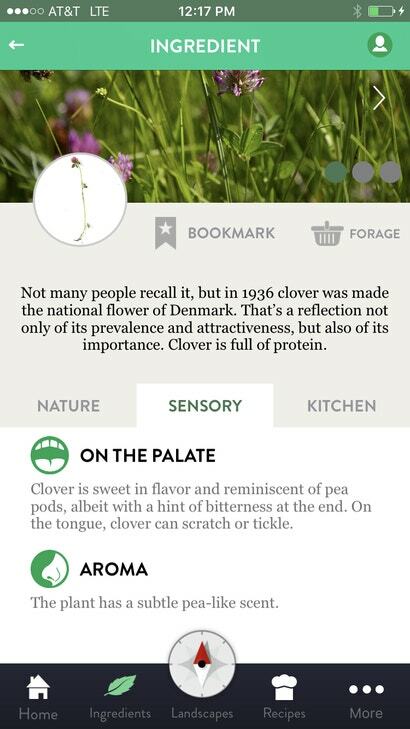 I then consulted VILD MAD to see if the clover could be responsible for my fuzzy tongue feeling and was pleased to find that my experienced lined up with the app's expertise. I also like the fun plant facts. "National flower of Denmark." Who knew?